Akim Mikhailovich Tamiroff (Armenian: Ակիմ Թամիրով, Russian: Аким Михайлович Тамиров; birth name` Hovakim, Armenian: Հովակիմ; 29 October 1899 – 17 September 1972) was an ethnic Armenian actor. He won the first Golden Globe Award for Best Supporting Actor, was nominated twice for the Academy Award for Best Supporting Actor, and appeared in at least 80 American motion pictures in a career spanning thirty-seven years. Tamiroff was born in Tiflis, Russian Empire (now Tbilisi, Georgia), of Armenian ancestry. He trained at the Moscow Art Theatre drama school. He arrived in the U.S. in 1923 on a tour with a troupe of actors and decided to stay. Tamiroff managed to develop a career in Hollywood despite his thick Russian accent. Tamiroff's film debut came in 1932 in an uncredited role in Okay, America!. He performed in several more uncredited roles until 1935, when he co-starred in The Lives of a Bengal Lancer. He also appeared in the lavish epic China Seas in 1935 with Clark Gable, Wallace Beery, Jean Harlow, Rosalind Russell and Robert Benchley. The following year, he was cast in the titular role in The General Died at Dawn with Gary Cooper, for which he was nominated for the Academy Award for Best Supporting Actor. He appeared in the 1937 musical High, Wide, and Handsome with Irene Dunne and Randolph Scott, and the 1938 proto-noir Dangerous to Know opposite Anna May Wong, frequently singled out as his best role. In the following decade, he appeared in such films as The Buccaneer (1938) with Fredric March, The Great McGinty (1940), The Corsican Brothers (1941), Tortilla Flat (1942) with Spencer Tracy, Hedy Lamarr and John Garfield, Five Graves to Cairo (1943) with Erich von Stroheim as Field Marshal Erwin Rommel, Frank Borzage's His Butler's Sister (1943), For Whom the Bell Tolls (1943) with Gary Cooper and Ingrid Bergman, for which he received another Oscar nomination, and Preston Sturges' The Miracle of Morgan's Creek (1944). 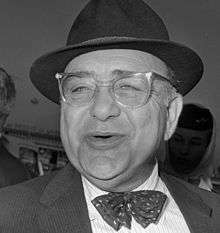 In later years, Tamiroff appeared in Ocean's 11 (1960) with Frank Sinatra and Dean Martin's Rat Pack, Topkapi (1964) with Peter Ustinov, Alphaville (1965), and had a long collaboration with Orson Welles including Touch of Evil (1958) with Charlton Heston, Mr Arkadin (1955), The Trial (1962) and Welles' unfinished version of Don Quixote, in which he played Sancho Panza. While Tamiroff may not be a household name now, his malapropistic performance as the boss in The Great McGinty inspired the cartoon character Boris Badenov, the male half of the villainous husband-and-wife team Boris and Natasha on The Rocky and Bullwinkle Show. He was also spoofed in a 1969 episode of the TV show H.R. Pufnstuf entitled "The Stand-in" in which a frog named "Akim Toadanoff" directs a movie on Living Island. Tamiroff died on September 17, 1972 from cancer. He was mentioned in J. D. Salinger's "Uncle Wiggily in Connecticut" (1942 New Yorker) He is also mentioned in The Moviegoer, Walker Percy's novel of 1961. ↑ The Multi-Russian: Akim Tamiroff. Blog.wfmu.org (2007-05-13). Retrieved on 2014-04-01. ↑ 'Practice Fun' Music Studio. Dougmacaulay.com. Retrieved on 2014-04-01. ↑ "Akim Tamiroff". Retrieved September 2, 2016. . theoscarsite.com. Retrieved on 2014-04-01.